Home / Closed basket. Height ± 54 cm. Diameter ± 37 cm. Design: Knees of the tortoise. Closed basket. Height ± 54 cm. Diameter ± 37 cm. 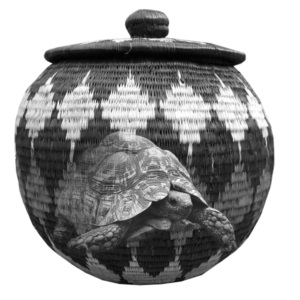 Design: Knees of the tortoise.